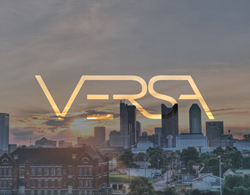 On Jan. 15, Versa LLC (http://www.versa.works) will open the first of three locations in Columbus that will provide more than 50,000 square feet of shared office space for independent workers and small entrepreneurs. “This will be a space for growth for the whole community. There will be shared work space and shared knowledge for anyone who wants to grow in their careers or launch a small start-up and achieve their dreams” says April Zimmerman Katz, co-founder of Versa. Get ready for a place that will provide shared work space and shared knowledge for those who want to grow in their professional lives. The first location, in Grandview at 1201 Dublin Road, will boast 37,000 square feet. Membership sales have already begun. Columbus is ranked as one of the fastest growing cities in the U.S., and the number of independent workers, mobile employees and others in need of a space to work is growing as well. Typically, with shared work space a membership is required, but in this case the space will be open to both Versa members and non-members. And Versa doesn’t just offer shared space; it also offers shared resources. “There will be opportunities for people to learn and expand their horizons,” Katz says. Shared office space, practically unheard of a decade ago, is growing rapidly. Small Business Labs, which follows trends with small businesses and the gig economy, has projected that 3.8 million people globally will be making use of co-working space by 2020, a significant jump from 1.6 million for 2017. April Zimmerman Katz is owner and president of The Zimmerman Companies, which manages several multigenerational family assets. Her management company’s multifamily division oversees several Columbus communities, including The Deco, a mixed use community which opened this past summer and The Olympic Indoor Tennis Club. Recently, Zimmerman Katz co-founded Versa LLC (http://www.versa.works), a provider of shared work space in Columbus, Ohio. She is the mother of five children and married to Kyle Katz, a partner in Versa and a Columbus-based real estate investor.